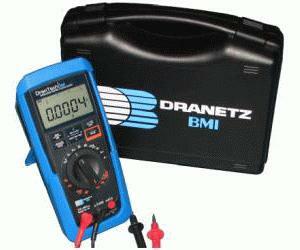 The DranTech ISO multimeter is a rugged portable measuring instrument for use in the field. It is suitable for servicing household appliance, machines and systems. The instrument can be used in the field and is equipped with an internal, mains-independent power supply.